Building your website has never been easier. Dotology's basic bundle gives you everything that you need to hit the web without the extra costs. Our low introductory price means whether it's a passion project or for your small business we're easy on your bank account. The Builder Bundle is perfect for small and micro businesses and organizations that are looking for an incredibly simple drag and drop solution for their website. We bundle an award winning SiteBuilder with a free domain name, custom email based on your domain name, domain name privacy and a variety of other services to get you up and running. SiteBuilder allows you to choose from modern, well designed templates to customize your website. Updates take just minutes and you can upgrade your plan as your needs change. 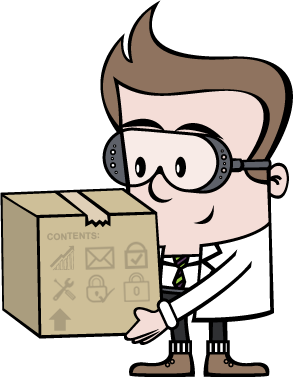 Our trusty regular ol' Bundle includes all the things you've come to expect from a full featured web host. It's shared web hosting at it's very best. We bundle a domain name, domain name privacy, an SSL certificate, a SiteLock Scan, custom email based on your domain name, and easy installations of award winning scripts like Drupal, ZenCart and Wordpress. Our limited time introductory price is more than 65% off what you would pay for each of these products individually. With your imagination and Dotology there's no limit to what you can do. Dotology bundles a free website builder to get you started in a flash. Inclided in your bundle is a 3-Page website completely free. If you need additional pages, space or want more variety in your style templates you can upgrade at any time. Website security is just one of the things you will need to worry about. With SiteLock protecting your site you can rest more easily knowing your site is being scanned daily for malware. You'll also be awarded a trust seal to convey security to your visitors. Registrant information for each domain name is published in the WHOIS database. The easiest way to protect your personal information is by using a Domain Name Privacy Product. We offer you Direct Privacy. An essential for small businesses. Having a custom email address based on your domain name conveys your branding each and every time you communicate with your customers. Want to have custom email and still use Gmail or another service to receive email? That’s no problem. If your visitors are giving you sensitive information you need an SSL certificate. Whether it's credit card information or login information your site can benefit from the additional trust an SSL certificate conveys to visitors. Dotology offers push-button installation of some of the most popular web apps like Wordpress, Drupal, Zencart, Gallery and dozens more. Wordpress powers over 17% of all websites and is an incredibly powerful and flexible publishing platform. You don’t need to be a programmer in order to set up your own blog, image gallery or even a shopping cart solution. It’s not a gamble, it’s a guarantee. Shared hosting is the most common form of web hosting and it’s suitable for most small businesses, organization and individuals. Each website on a Dotology server has its own secure space for content, code and other sensitive information, but shares other server resources with other customers. Dotology offers flexible usage of resources such as bandwidth and processor because we know that the average website uses only a fraction of the available resources at any given time. This allows us to keep our rates competitive while offering world-class support when you need it. We don’t offer “unlimited” plans because there’s just no such thing in a shared hosting environment. For that matter there’s no such thing in a dedicated hosting environment. Web servers have limits. Hard limits and you can push them pretty far, but eventually you’ll run out of disk space or processing power. The closest you’ll get is a cloud instance and if you need that for your small business we salute your success and are happy to help you migrate your services and hope we can still provide you with the very best domain name registration services available. We’re new, so it’s easy to say that we’ve had great uptime, but you should know that we’re veterans of the web hosting world and we know how to keep websites online. To keep our servers happy and secure we perform regular maintenance in the quickest and least disruptive way possible. Unplanned outages happen to every web host at some point. When it happens to us, you can rest easily knowing that we aren’t resting until your site is back online. Our trained support counselors (Dotologists) are available by phone and chat during expanded business hours and we respond to ticketed support requests 24/7. We’ve assembled a vast array of tutorials, how-tos and instruction sets to help you help yourself, but we’re here when you need us. *Free Domain limited to select TLDs. Renewal rates will apply.